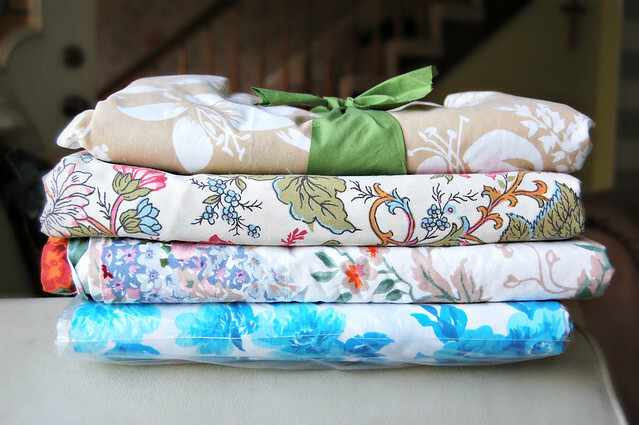 Lately I’ve been stockpiling vintage sheets to use as quilt backings. They are so incredibly soft, and I love the happy colors and patterns. The one at the bottom of the stack is a rare find – it’s brand new, still in the original packaging. Can’t wait to see these put to good use!